Just when I was starting to think the modern zombie love affair was over, all bar the bell, along comes a film (and book) that just for a moment reminds me that all might not be lost. 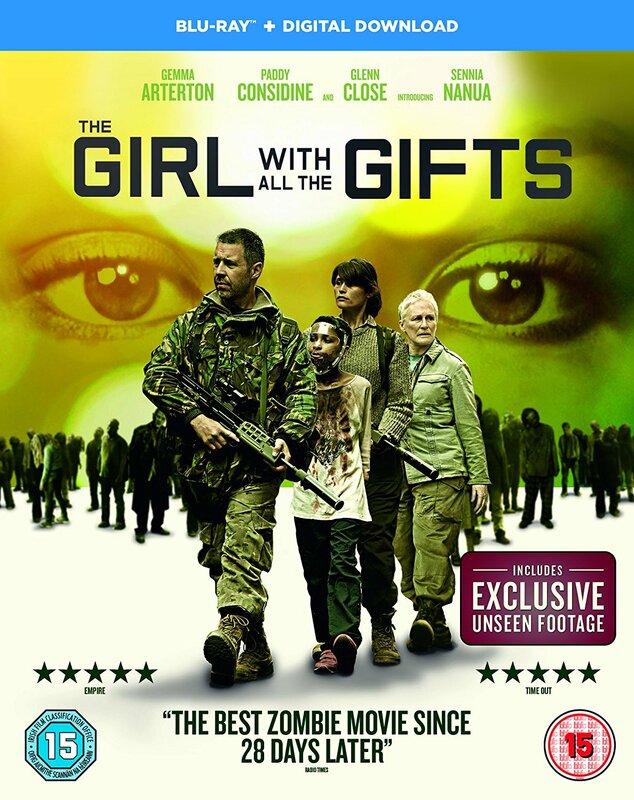 With a clear, brave and original vision, great determination, and exquisite competence, The Girl with all the Gifts instils hope, and acts as to remind, if we needed it, that the zombie is a timeless metaphor, reflective and responsive to the fears of each new generation and both malleable and submissive to always be open to change. It's that admission that The Walking Dead post-apocalyptic survival slog, and the jaunty, flippant and entirely throwaway zombie-comedy might not be the only games in town; that rehashing the same narrative, or telling the same joke with minor cosmetic change might not be the only way to draw genre fans back time and again. Yes we're reliant yet again on brave independent film makers with a modest budget but maybe what with all the critical acclaim there's always the chance some of this fearless and avant-garde spice will rub off on the big boys; and also I for one would be happy for keen enthusiasts to once again take point even it does mean the number of films released takes a massive hit. 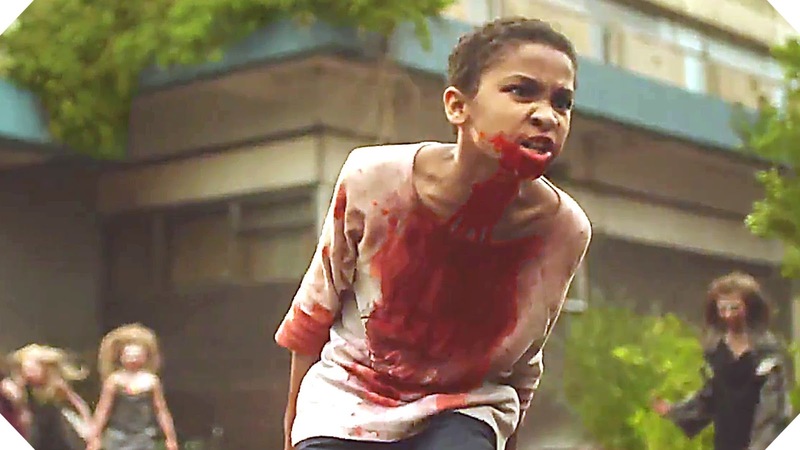 Okay; perhaps I'm guilty myself of going overboard whenever the next shiny new zombie story arrives, as British director Colm McCarthy's zombie's look and feel borrows heavily from Danny Boyle and the 28 Days Later phenomena. Also the story, without spoiling too much, of a new hybrid / evolved species potentially rendering the old extinct and redundant, shares more than few parallels with I Am Legend. Yet there's enough ingenuity and nuance in the weave performed by writer M.R. Carey, and more than enough skill and style in its transition from words to picture that I'm happy to overlook any complaints of imitation or derivation. Anyway; aren't there really only seven stories in the world? Glen Close may be the name that grabs the box office headlines but it's 12 year old Sennia Nanua as Melanie that will certainly garner all the acclaim when the dust has settled. Her portrayal as the innocent, bright eyed but ultimately cursed inmate is nuanced and faultless, and contrasts perfectly with the cold, stark utilitarian lead scientist Dr. Caroline Caldwell played by Close. Along with sympathetic and intensely conflicted teacher Helen Justineau (Gemma Arterton) and hard line Sgt. Eddie Parks (Paddy Considine) they perfectly capture the absurd, contradictory and desperate end of the world moral maze the story presents them with. Melanie is a human / zombie aberration torn, not born, into the world from infection in the womb. She shares the same vicious hunger to kill and eat, and yet she's also born with not just cognisant and rational thought, but perhaps, and this is the journey for both us, and the characters, the ability to control it. Us zombie fans can be awfully annoying at times; stubborn and dogmatic that there's one way to do something; there's one zombie and he's dead, slow and Romero's prodigy. I still see pointless debate as to whether Boyle's not dead but infected are somehow not zombie, as if pulse alone dictates deadness forgetting that zombies were around and breathing well before the undead movement took them as one of their own and Romero finally applied the final death-nail. McCarthy's 'hungries' are vicious, flesh eating, fast, extremely dangerous and alive. They're also, and this is defining trait, utterly devoid of the humanity and more importantly self-awareness and cognisant empathy that made them who they were. They're rabid animals; actually worse; they're destructive entirely reactive automatons driven by insatiable hunger and nothing else. So they have a pulse? So what. McCarthy also isn't afraid to shock and disturb by presenting the zombies with a brutality that reinforces the no-win quandary those enforcing the imprisonment and experimentation are actually in. 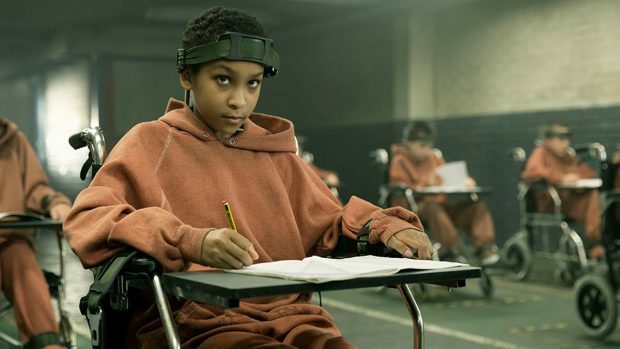 The Girl with all the Gifts certainly does better when the story sticks to the confines of the bunker / school, and the contrasting and clashing moral maelstrom of fear, necessity, desperation rubbing up against those small slithers of hope born from love and believing in the human condition. The action once the compound is breached and the group are forced to set out across the stricken over-run wasteland still shows signs of flair and originality, never content to becomes another derivative zombie survival yarn, yet it won't be what the film is remembered for. 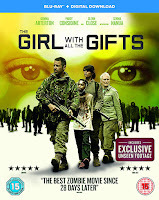 The Girl with all the Gifts is that shining ray of light in unending darkness, both as a narrative trope, and also as innovative and thoughtful movie in a plethora of mediocre. I loved it and perhaps the cinematic zombie might be quite safe after all - 8/10. 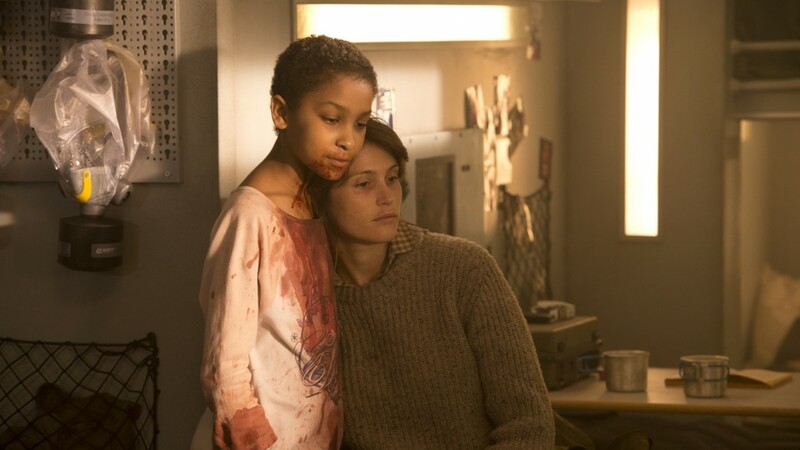 I thought the parallels to I Am Legend, well the book and Last Man on Earth, were obvious and surprised others not mentioned it. I thought it was terrific, though I've perhaps gone a bit overboard with the superlatives. Must have been in a giddy mood.